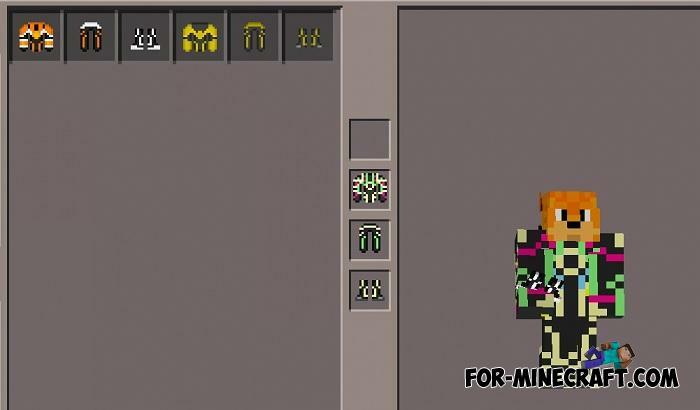 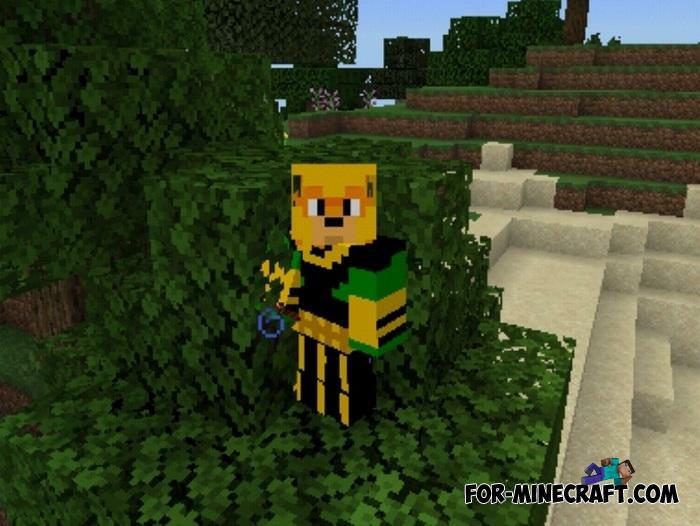 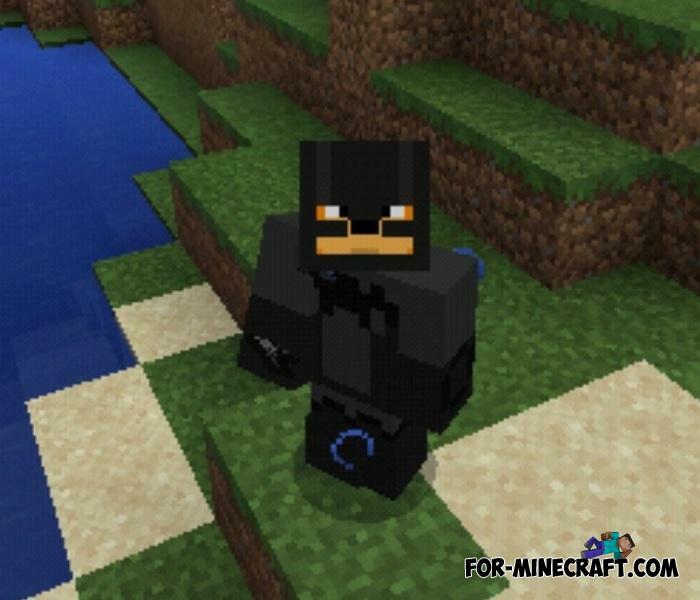 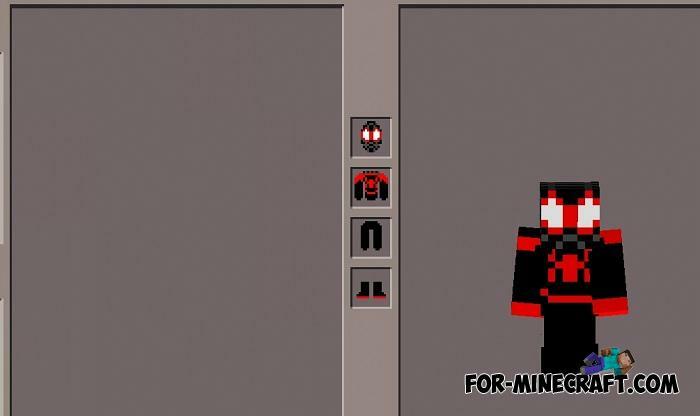 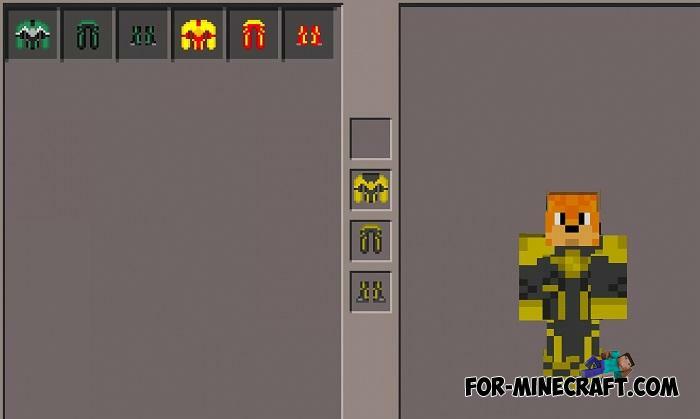 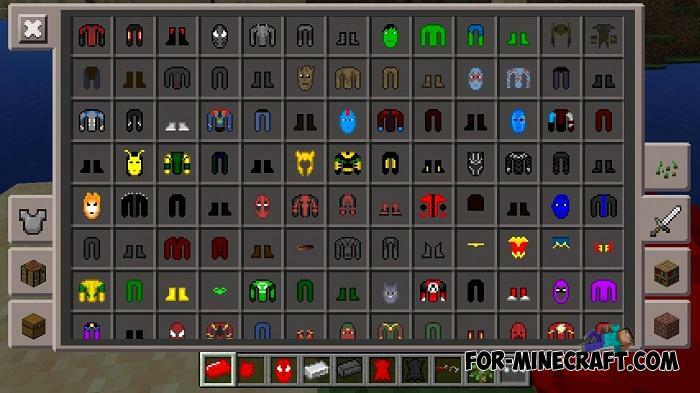 This is an IC adaptation of superhero mod for Minecraft PE that introduces over 45 superhero costumes transforming you into a human or humanoid with super powers. 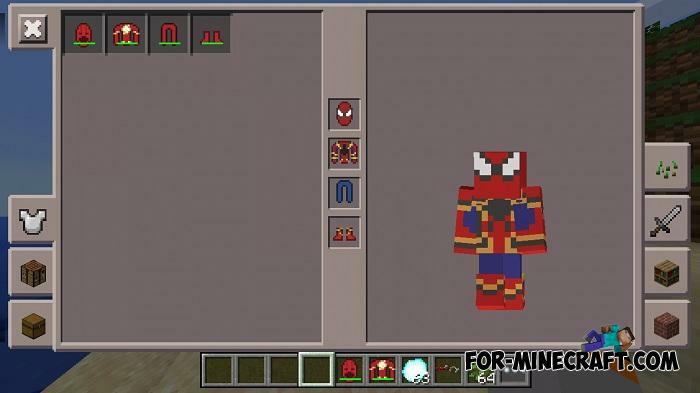 But for those who play only with BlockLauncher mods, there is the Project Superhuman PE Mod, which is currently the largest super modification for MCPE along with this one. 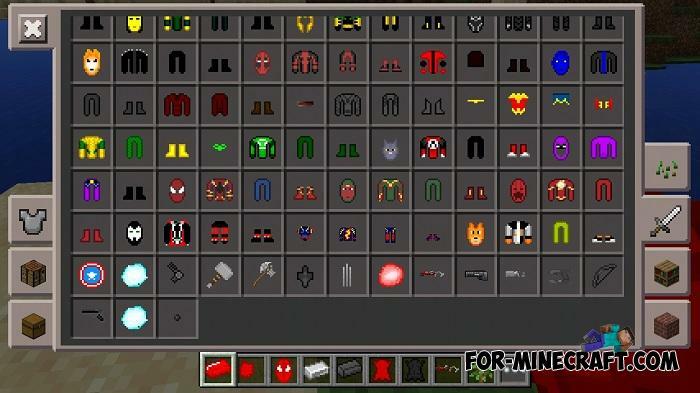 Mostly added characters from the Marvel universe, although there are a few from DC as well as some third-party comics. 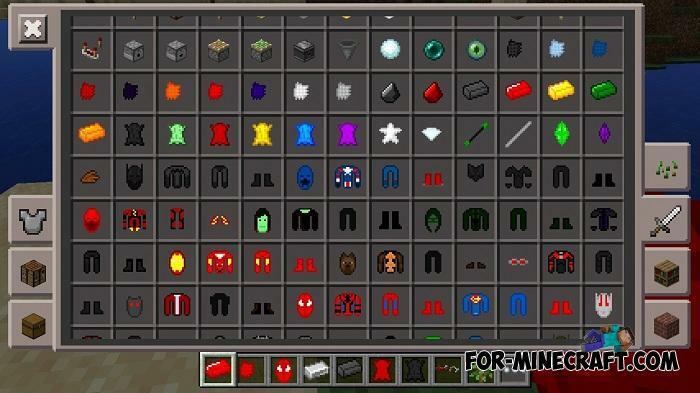 Turning into a superhero is very simple: get a complete super hero set and put it on by placing all the suit elements in the armor slots. 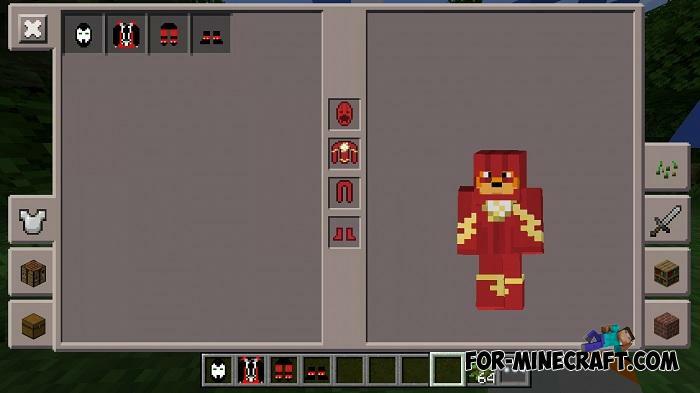 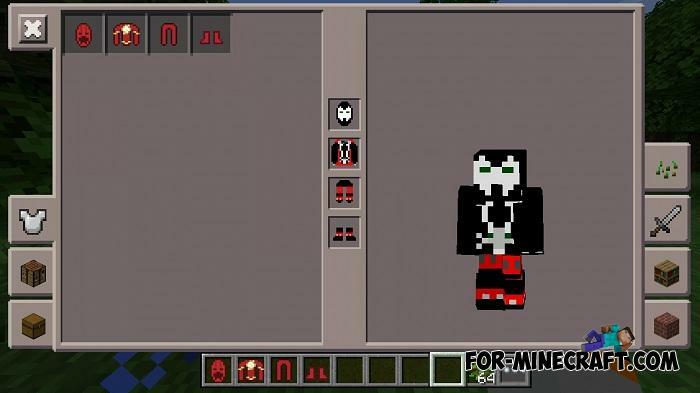 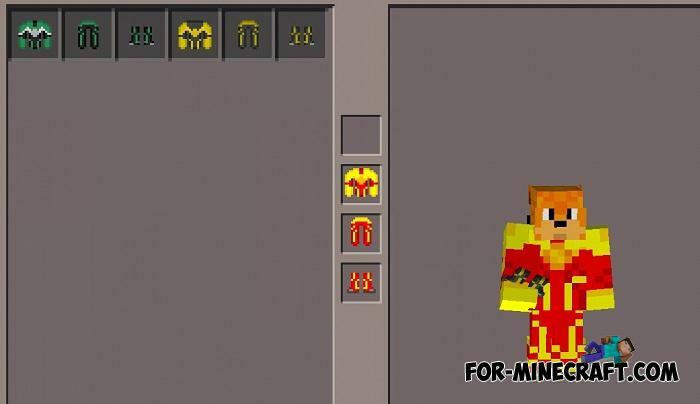 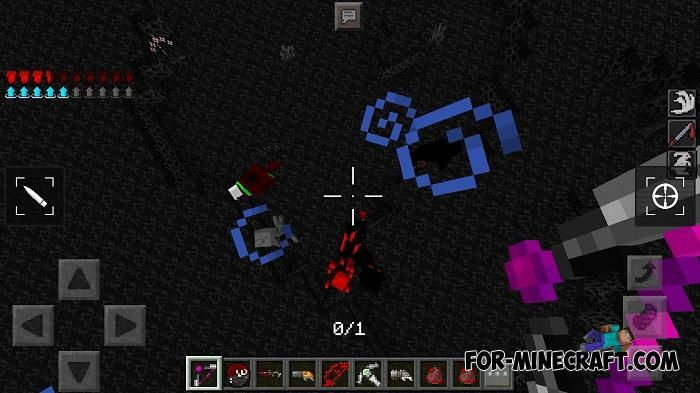 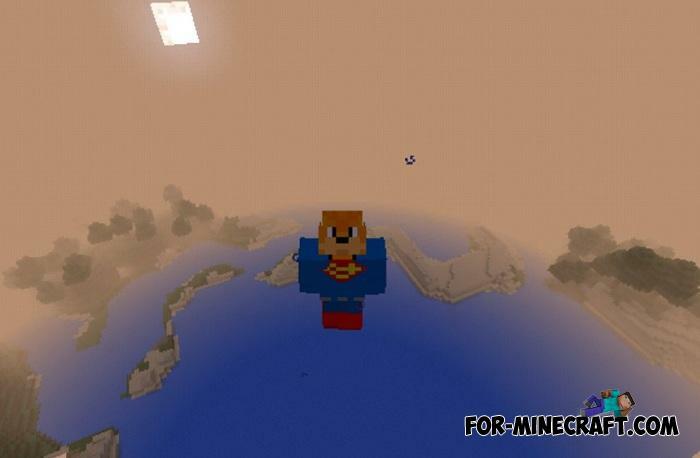 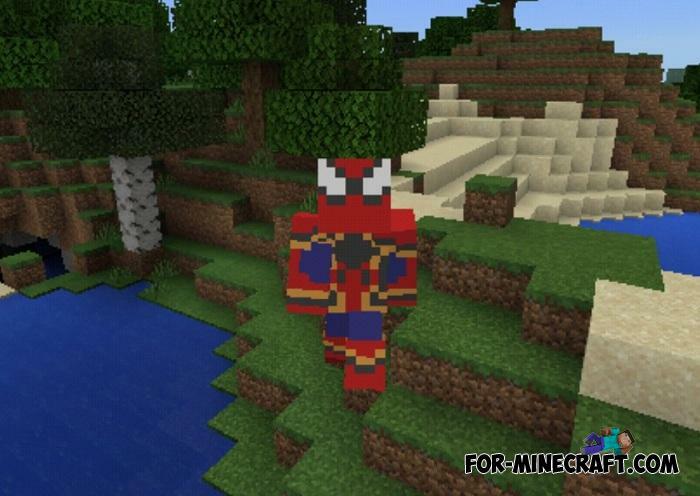 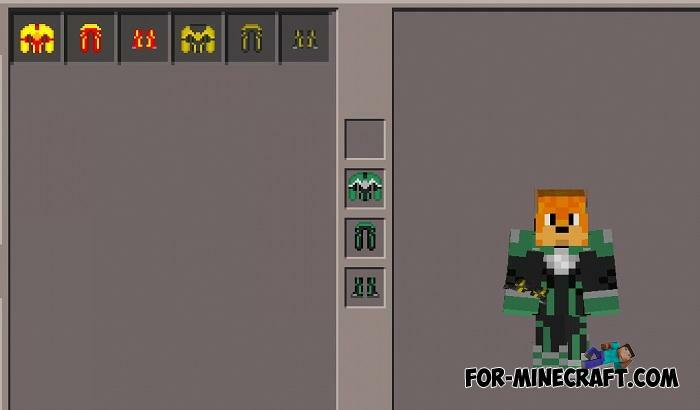 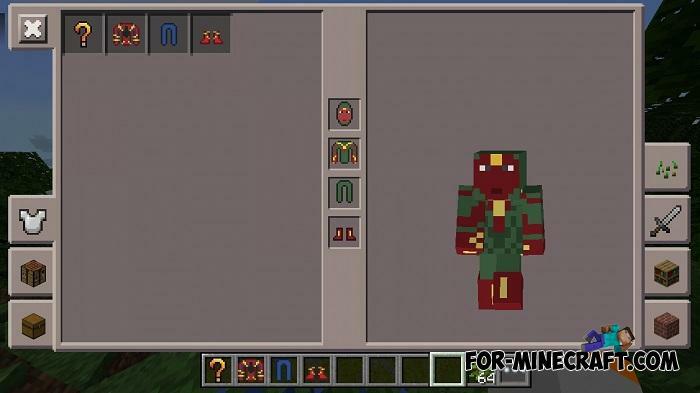 Marvel Superheroes map for MCBE 1.2Before watching, you can get acquainted with some information and also have a good time as one and..
Superheroes mod v3 for Minecraft PE 1.0.0/1.0.3Superheroes mod adds 20 most popular costumes of superheroes in MCPE 1.0..